I've always thought the best looking Ferrari's were the 2001-2006 years. I’m also going to be the person to complain about that god awful nose stump, AGAIN. Mercedes can build a car with a front wing that’s envious, and WIN! What does that hideous nose stump give us?! not a fan either. 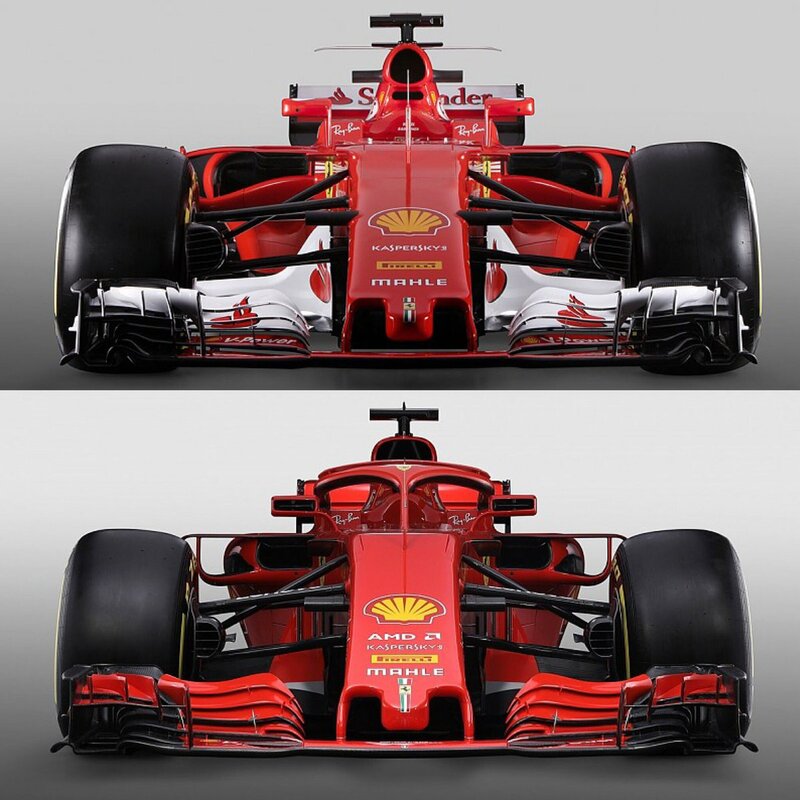 The Sauber-Alfa has a better nose stump than this new Ferrari. Gary Anderson pessimistic as usual, if he is such an expert then why is he not working for an F1 team? I for one am absolutely delighted to see an all red Ferrari.....just red that's all we need. I hated the white and am sooooooo glad to see something related to the 2008 car which was lovely. 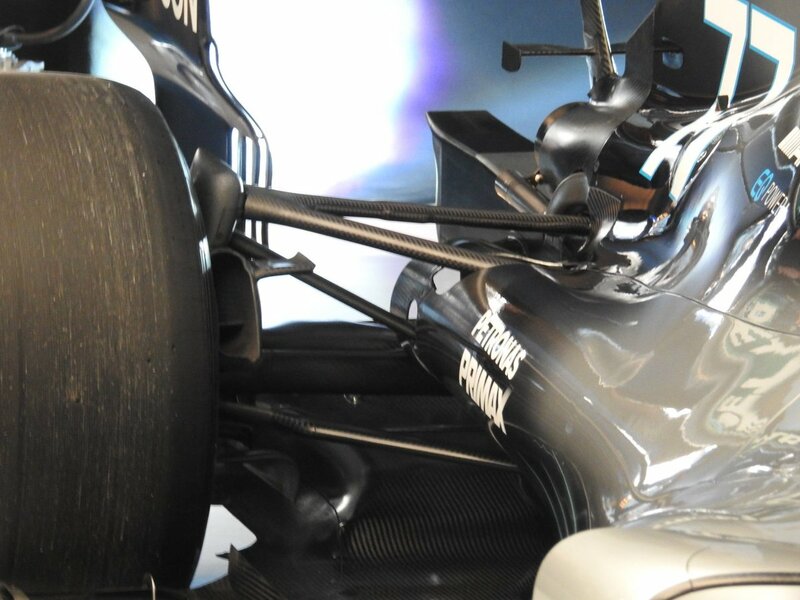 Anyne else notice the air intake above drivers head is bigger then last years, similar to what Merc had last year. Someone start a dedicated thread for the new car, please. Very nice looking car, aggressive and high raked. Bring on the WDC and WCC if it doesn't break down! I was the one always complaining it is not red enough. Now it is!!!! yep, they are smaller than last years air intakes. Yes looks like they removed the rear wheels from that shot, I wonder why? I heard one YouTuber that goes by the name of Aarava saying that IQOS might be a one-off thing shown only in Monaco and that we might see other one-off sponsors as well, shown in that empty area on the engine cover. Best livery in many years though I would have preferred black to grey highlights. The removal of the old faux-Marlboro logo is welcome, though it might be replaced with something worse later. It looks compact and aggressive, but so does the Mercedes and Red Bull. The rear end of the Merc in particular looks very clean. We'll see how they perform in testing. More generally, I'm not a fan of this year's cars. The sidepods are too narrow; they look like someone's strangled a tube of toothpaste. There's too much floor visible which lacks elegance. Maybe the cooling requirements are lower as teams will not be able to run engines at higher temperatures for reliability reasons? 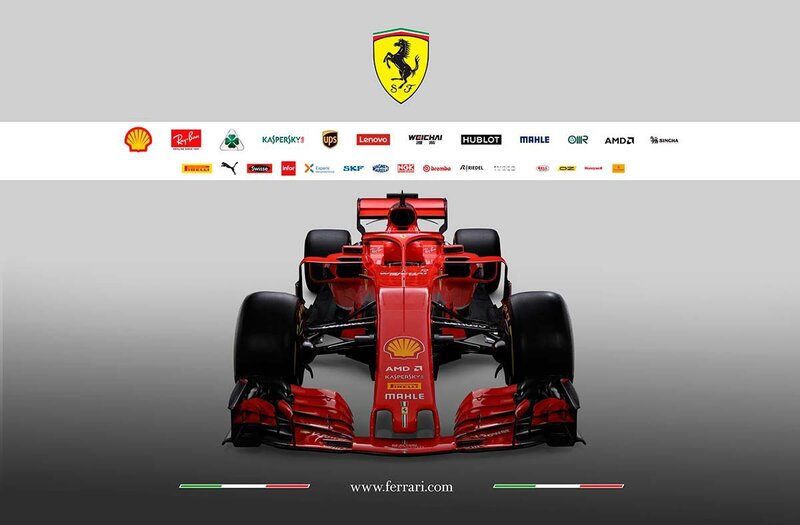 And as for the halo, it is grotesque and painting it red, adding a wing and some logos doesn't change that. Propably to see better the space in the sidepod area.A better contrast in a white background. The car looks really nice ...well apart from that ghastly ******* halo. I cross my fingers and toes and hope it's more reliable than last year and faster than the Mercs. Now those two, go get them boys. Go show what yo Ferrari can do boys. That "hideous" number font and style dates back to the 70's. It's oldschool. I understand you may not like it but it has history and/or tradition hence why the Scuderia have brought it back. Michael Schumacher - Love him, loathe him; he IS the greatest driver of our time.